File the new Tweezerman Expertweeze Lighted Slant Tweezer under great ideas you should have thought of! But I'm glad Tweezerman did. 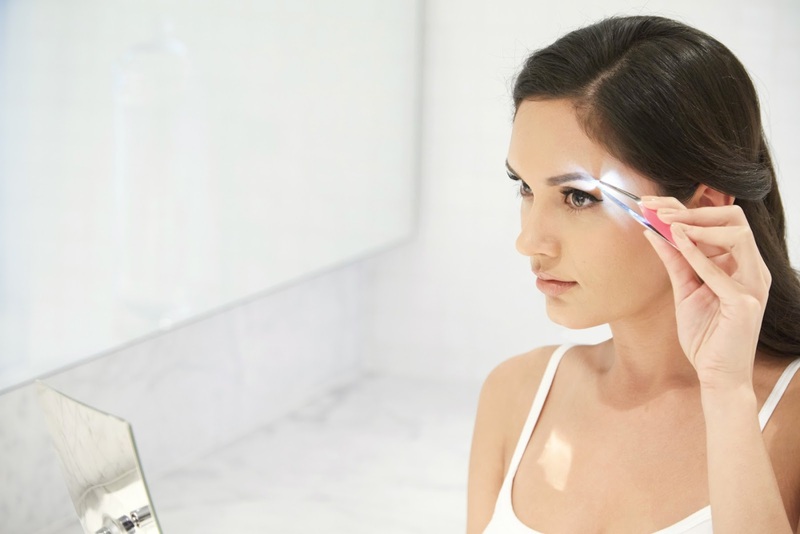 This new lighted version of their classic Slant Tweezer gives you illumination and perfectly slanted tips for the best brow shaping you can do at home. It's simple to use. I pressed the small silver button on the top of the Tweezerman Expertweeze Lighted Slant Tweezer and the LED light came on. With the light, I could see all the stray hairs that I normally would have missed on my own. The ergonomic handle was very easy to use and get to all the corners and parts of my brows. The ends of the Expertweeze are very sharp, but they were gentle on my skin/brow hairs and didn't cause any irritation or accidents. With the Tweezerman Expertweeze Lighted Slant Tweezer I was able to finish my brows quicker and they looked much more polished. I love that even if you normally get your brows done professionally, in between your appointments you can easily groom your brows and still have them looking great.